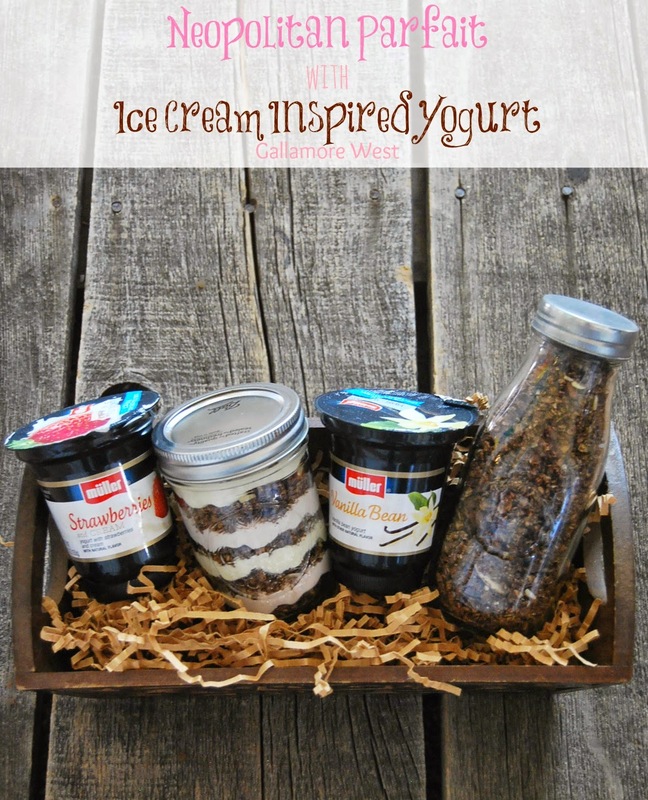 If you love ice cream, then you will LOVE this! It's new Ice Cream Inspired Yogurt by Müller®! I was so excited to try this yogurt and it definitely does not disappoint. It tastes like ice cream, but without all the calories that comes with ice cream so it's a better for you option that will still satisfy that sweet tooth. Sometimes in my busy mom life, I just need a break so I'll grab a bowl of ice cream and head to a quiet corner in our house. Now I can have my "Me Time" guilt free with Müller® Ice Cream Inspired Yogurt because it's the perfect combination of an indulgent treat and nutrition. 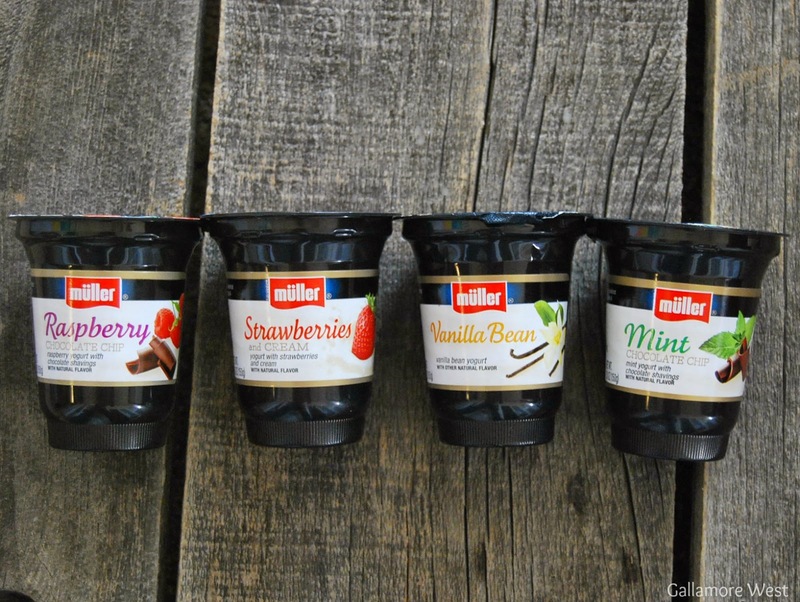 Müller® Ice Cream Inspired Yogurt comes in four delicious, decadent flavors: Raspberry Chocolate Chip, Strawberries and Cream, Vanilla Bean, and Mint Chocolate Chip. They're all delicious and extra creamy, and they're perfect for an on-the-go snack or even breakfast. Breakfast that tastes like ice cream... awesome, right? The Strawberries and Cream is my favorite. But I love chocolate and vanilla too so I made this adorable Neopolitan Parfait to combine my love of strawberry, vanilla, and chocolate all in one. 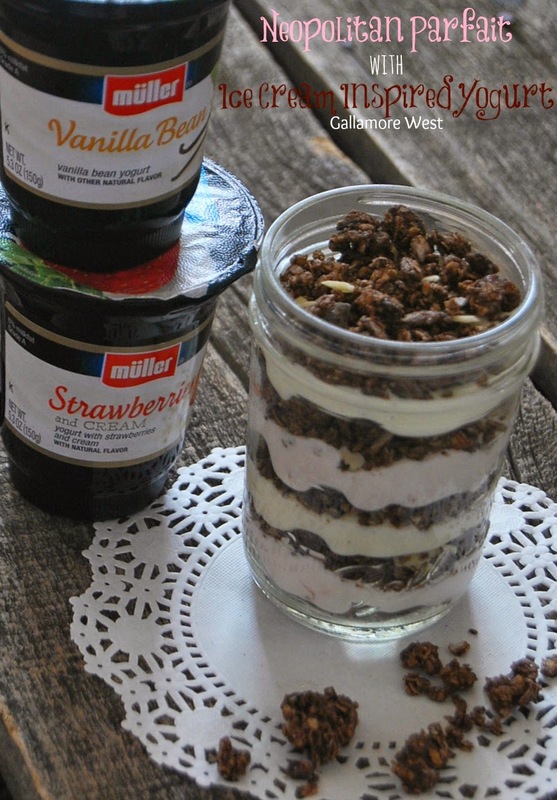 I used one container of Müller® Ice Cream Inspired Yogurt in Strawberries and Cream, one container of Müller® Ice Cream Inspired Yogurt in Vanilla, and store bought chocolate granola. I started with a small handful of granola on the bottom of my mason jar, then added two heaping scoops of the strawberry yogurt, then another small handful of the granola followed by two heaping scoops of the vanilla yogurt. 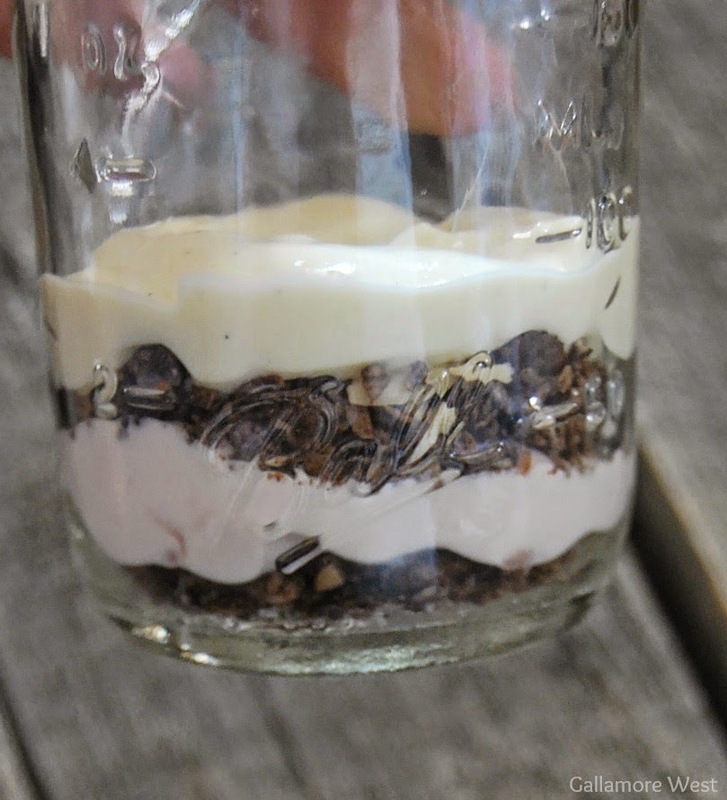 I did two layers of each flavor yogurt with the chocolate granola between each layer. I ended with a final layer of chocolate granola on top. The end result was adorable and so delicious! It would even be so cute packaged up in a basket along with a magazine or a scented candle to deliver to a friend who could really use a special "Me Time" break too. 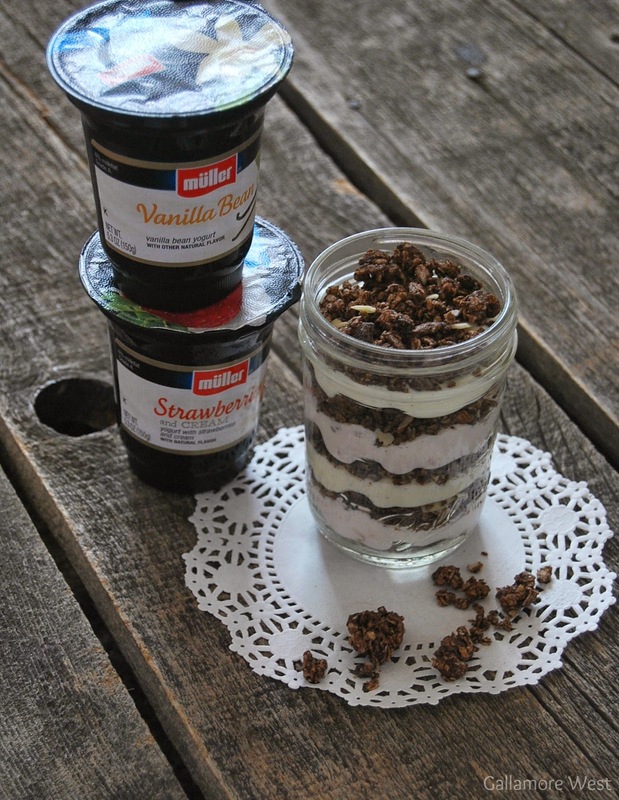 Have you tried Müller® Ice Cream Inspired Yogurt yet? Be sure to check out other Müller yogurt varieties now available on Rollback at Walmart for $.88. My local Walmart had a demo of Müller yogurt varieties that I loved getting to sample. 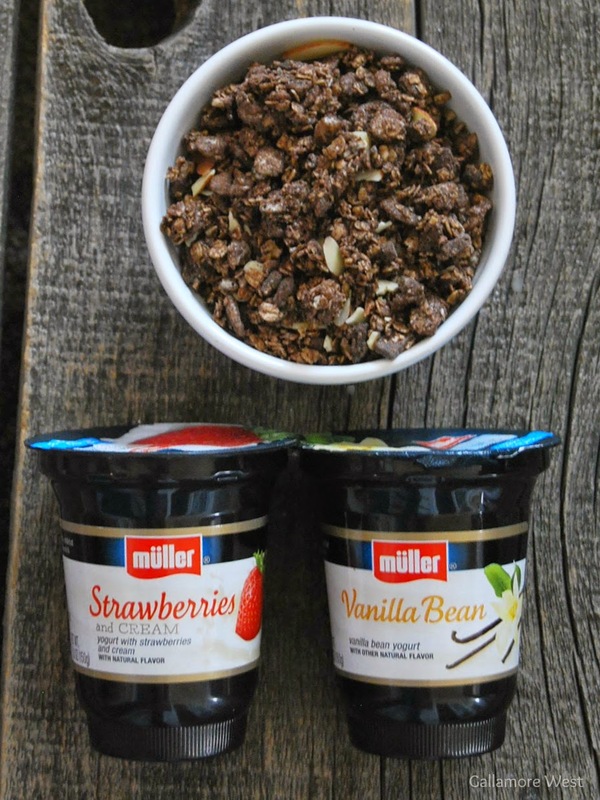 Love Muller? Visit www.Mullerquaker.com to sign up for their mailing list and receive the latest news and offers. As a thank you, you'll also get a coupon to use toward your next purchase!